Been focusing a little more on high fat and low carb these days. Plus our new workout called Shift Shop coming out next month will include a high fat low carb type meal plan. So wanted to be ahead of the game! Anyways I have missed the bread a bit so I have been finding some creative ways to supplement! 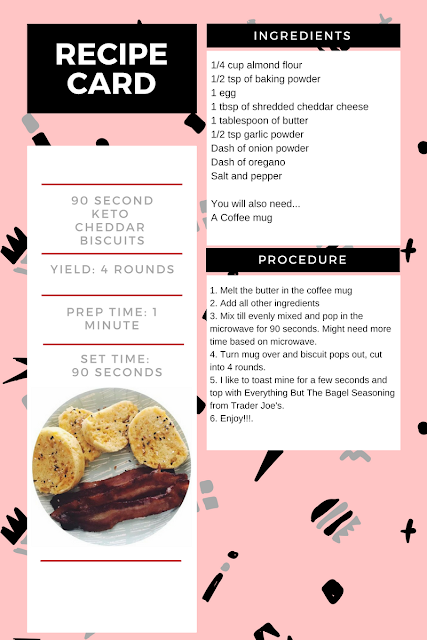 These little microwave cheesy biscuits have done the trick. 3. Mix till evenly mixed and pop in the microwave for 90 seconds. Might need more time based on microwave. 4. Turn mug over and biscuit pops out, cut into 4 rounds. 5. I like to toast mine for a few seconds and top with Everything But The Bagel Seasoning from Trader Joe's. 😘 Share if you would like! This book is phewww, so good. Convicting and full of Grace. 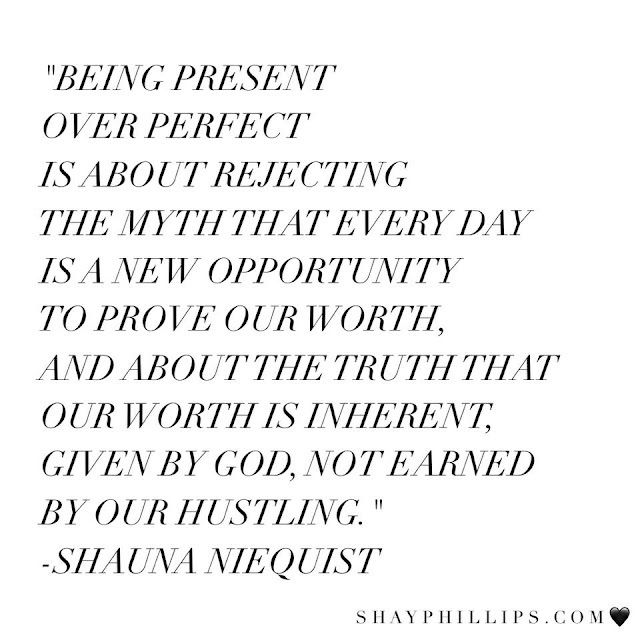 I'm late to the party on this book but if need something new to listen or read - Preset over Perfect by Shaune Niequist. I recommend it highly. I am so excited to offer this FREE group to every one of my friends! It is technically the first real free group I have ever hosted. I am pretty excited about it!! You may or may not know who Shaun T is but you may know the name of some of the fitness programs he has created. T25, Insanity, Insanity Max 30, Hip Hop Abs and CIZE - to name a few. Well he is launching 7 new workouts from June 12th-June 18th as a mesh of his GREATEST HITS. It will only be avaliable on Beachbody On Demand (Netflix for workouts). Sooo in the spirit of the excitement I decided to host my first real free group around this event. Think of it as a sneak peek into my monthly Fit[ish] Girls accountability groups with some extra bells and whistles. What if a free 7 day group with like minded people started a lifestyle change for you! ?